For the first time since the Dark Ages, 21st-century Britain has a High King. The Pendragon device has returned, wielded by former paramilitary officer and eco-activist Jory Taylor. Under his rule, the UK faces an unparalleled social, economic and artistic renaissance – and an unprecedented challenge, for the original King Arthur’s reign was a brief flowering ending in devastation and betrayal. 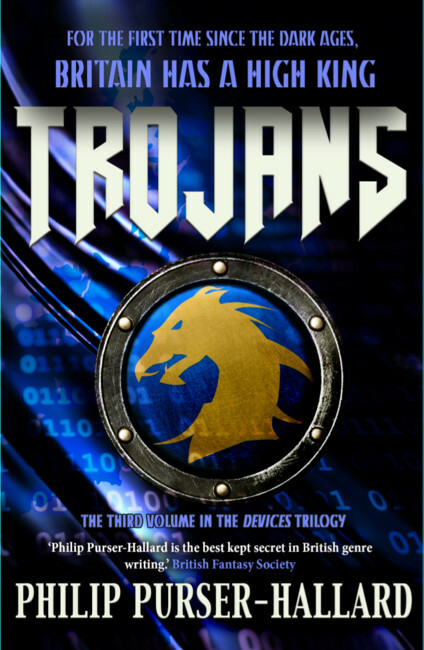 While a man claiming the device of Corineus the Trojan foments political unrest, and other nations’ devicial agents probe the realm mercilessly for weaknesses, High King Jordan must somehow rewrite his story’s ending, and usher in a true new order. One that stands some chance, at least, of outliving him.